I had shared my views earlier too, about the voters duty is above the voters rights. As a voter, if i fulfill my duty, only than i shall be able to protect my right as a citizen & the sovereignty we all align to. The authority & DUTY i have is to vote for a person, not for a party, nor for a PM or CM. So why to even vote for PM or CM. 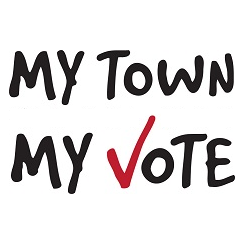 How to do this :- Lets check the profile of the local candidate ( Councillor, MLA, MP) on internet, ask the people around you about the work he has done. If u feel alright, than vote. If you are unaware, it is better not to vote. NOT Voting is not a crime, Voting a wrong candidate IS. Choose a candidate who can fight for his constituency & can take your local issues at central level. Are we encapsulated in situations, reactions & consumptions. Always trying to find something, which we dont have, but trying and pursuing is overcasting the moments we are trying to breathe. At times I implode, implosions become painful & thus i explode. The stretchmarks of this implosion & explosion are helping to stay disconnected from the situation & leading me to a condition. Happiness is not a situation, but its a condition. We, or may i say, I am trying to fulfil the desires by pushing myself in situations, but the condition remains un-affected. 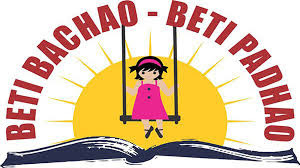 A very good campaign of Beti Bachao & Beti Padao is going on. But the new generation is now raising some new questions about our surroundings. one such question was raised by my daughter, which tries to pierces into the hypocrisy. In fact, this raises a big question for everyone. She asked me, Papa just like Beti Bachao Beti Padao, is for girls, " Boys ke liye kya hota hai ( what campaign do we have for boys) ?". Now, this small question has a lot of hidden questions in itself. I was a little held back, or may be, a little clue-less. As what should i say to my 5 year old kid. A big question mark comes to surface, when godmen like Ram Rahim of Dera Sacha Sauda are being convicted. The huge following of such godmen which is primarily and majorly from bottom of pyramid, lower caste or the people whom the Godmen has helped in one way or the other. 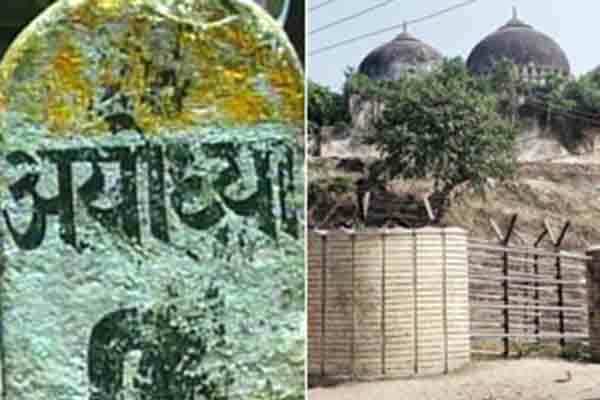 Have we ever wondered, what is the reason of this, Probably, loopholes of existing religious, traditional & ritualistic systems are an opportunity for these babas. They come and encash these loopholes, which exist in the form of divisive religious traditions which had been part of our rituals and social system. Its 2017, and still there are lot of villages where a Scheduled Caste person cant drink water from an Upper Caste Kshatriyas/Brahmins house. We are so badly entangled and netted in the traditional and obsolete system, that we don't even open our eyes to realize the demarcation of being wrong or right. HIGH COURT POINTERS ON GURMEET RAM RAHIM ( DERA SACHA SAUDA) Recently an advocate filed a petition with High Court.with CWP no. 19086 in year 2017. THis was filed on 24th with a view to direct the functionaries for making apt arrangements . "....directing the respondents to make adequate security specially in District Panchkula and surrounding areas where the Court of Learned Addl. District Judge for CBI is to pronounce judgment in a criminal trial on 25.8.2017." After this when the mayhem spread and petition was continued on 26th Aug, Below are some iconic directions given by the high court when Govt. Failed ( or they posed that they failed). Apart from all the directions, High court has shared some stern statements on the Governance happening in Haryana. Which clearly shows a failure of administration by Govt. A respect has got generated for judiciary. 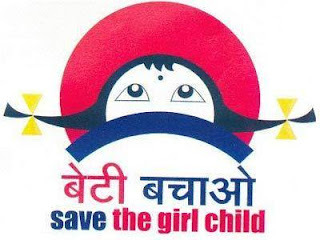 Beti Bachao ..... kis se?? ये सवाल पैदा हुआ इस बेचैनी से कि बेटी सुरक्षित नहीं है, चाहे वो बढ़ी हो या छोटी, पर क्यों? DISCLAIMER:- This picture is not pasted with intention of maligning a single broadcasting group. Instead consider it as a general representation for news channels these days. It is a humble request to all of you, stop being a part of the political brigade.Pls come to your motherland, spend good time, and if possible, stay back to improve the system. If you only donate money and dont contribute with your presence, sorry to say, but there would be no difference in 5 yearly monsoon politicians and you, who want to control the system, but dont want to contribute for it. I can understand,that it would be highly difficult for you all to stay back leaving behind the comfortable and luxurious life of your so called " developed Nations". But Believe me, this nation is improving in terms of money, GDP, DDP, DDT, BC, MC .....god knows what are these terms, but seeing around, at least in my part of country, there is a visible improvement. The most easy question in each election is, "Whom shall i vote for" And we decide in a blink of an eye, who is the right one. I feel, i strongly feel that Something is not right here. I have a duty to vote for the candidate, who should go and represent me, my constituency, my area and shall become my voice. And am i fulfilling my duty rightly by choosing the party, at times, irrespective of the candidate i know ? In my case, choosing a candidate is not a matter of a simple choice, it is my duty as well. These days, it is much easier to know about the local candidate, we can google, Whatsapp, check social media, public life is visible to everyone. A little research of 5 mins might enlighten you. 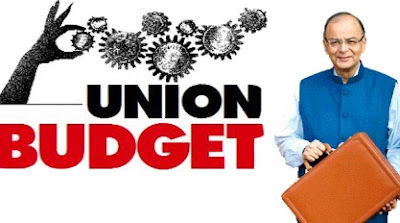 Some Interesting and effective budget highlights shared below on Personal Taxes. Govt. has tried to demonstrate that the govt. is going to support the tax payers and are going to take action against the tax evaders. Some strong statements regarding political party fundings, some data mining results details shared by the Finance minister. Most important statements since De-monetization in November. A few excerpts shared below. 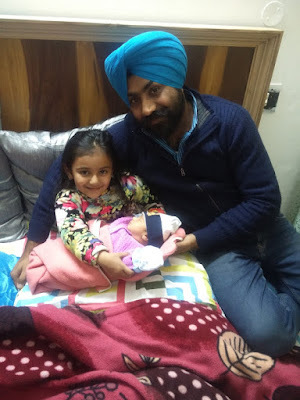 New born girl - Not a Lakshmi for sure. "Its OK yaar, ladkiyan to lakshmi hoti hain, luck le ke aati hain ....Bow Bow Bow......Blah Blah"
"कन्या देवी है , लक्ष्मी है , बड़ बड़ बड़। ......... "
A Line which i am hearing since last 2-3 days, since my 2nd daughter is born. This is to all my fellow congratulate-ors who come in the garb of concerned relatives / friends. Pls stop coming to me like a cover up artist. You all can come to me like an actual happy person and actually congratulate me if you are happy else dont bring your banters to me. 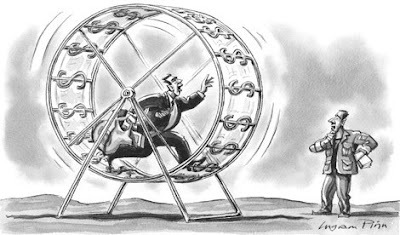 A Day when De-monetization, an economist technical jargon became a household term. An enthralling response was given to the announcement made by the Prime Minister, Mr.Modi on withdrawing the Legal Tender(uff!, what a term for money) of 500 and 1000 Rs. currency notes from the market. It was like so many Mango men ( Aam Aadmi - not the party) became happy that the rich, who stack the money in there houses, will have a money which will be useless. 11-Nov,2016: History when portrayed with honor, instills pride. After many religious portrayals from different cultures and religions, sikhs are finally able to find, there history`s screen portrayal dues getting geared up and cleared up with movies like Chaar Sahibzaade & Rise of Banda Singh Bahadur. After the glorying success of Chaar Sahibzaade, Bollywood`s attempt with Banda Singh Bahadur is good, appreciable and well portrayed. Finally, people get to see, some side of the vast sikh history. 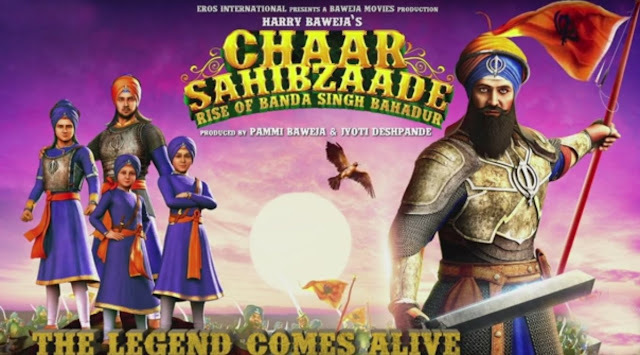 This movie has been directed by Harry Baweja just like its prequel and is having the similar animation skills captured very well with Banda Singh Bahadur. Its 1130PM, a boy, a nationalist Indian boy, calls me and shares his guilt and confesses about something. "Sir, Mere Nana is fighting for the freedom of Kashmir, and i am feeling highly guilty and embarassed that he is my Grandfather, what should i do?" After a pause of 2-3 sec, till the time i could recollect what he said, i responded back, what you should do is that, you need to think and introspect, if you have the freedom to think that he is wrong, shouldn't he have the freedom of thinking what he feels is right. Gar firdaus, ruhe zamin ast, hamin asto, hamin asto, hamin ast", which translates to "if there is ever a heaven on earth, its here, its here, its here". This is something quoted by a mughal emperor when he first saw kashmir. And we all need to think, what we turned it into. what is remaining, is it heaven? or is it just remains. The urge to think is on both sides, for & against. We are obsessed or have become so engaged to do something that we cant sit, without doing anything, just like that. And this habit which we all have (am i generalizing - perhaps, yes) developed that we cant sit just like that, is becoming addictive at first step, Is this habit bad or good???? I believe it doesn't matters. But what is overpowering us as a person is the `Desire` or the influence of this desire under which we work or function (function is the most apt word instead of work), we are not able to come out of this desire or influence and are being burdened by this fallacy of achievement. Perhaps, this is the only reason, we are attached to & are always thinking about THE Desires which we plan to achieve, thus leading or increasing the burden which we carry over our mind all the time. Some movies are worth watching, not because they are acted, enacted and reacted upon. Instead such movies like Buddha in a Traffic Jam must be watched because of a well written script, well executed direction and well demonstrated screenplay, knitted in a well woven plot. This is a movie about India & Bharat, which every socio political or pseudo intellectual can watch to understand the nexus of NGOs, The movie from Prologue till its epilogue changes a lot many colors keeping the entertainment quotient alive while keeping the actual question on top.A lot many questions come into being when you watch this movie. If the person is an active or dormant debate maker or debate shaker of Indian politics, one must watch this movie. And worth mentioning is, at the end there is a beautifully sung song by Pallavi Joshi "Chand Roz"
03-June-2016: Amidst the rumors that Udta Punjab movie might be banned in Punjab or it has to have a lot many screening cuts before it is actually released in punjab. These rumors actually seem to be true. If google aunty is to be believed the movie has been asked to have as many as 40 cuts before releasing in Punjab. Elections are almost on cards and our beloved addict Mr.Cloud is certainly not interested in having any controversy attached to him. 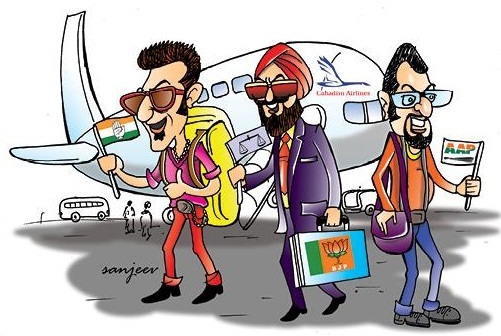 I am of a belief that the time has come when his party is going to flood the market and marketing agencies with loads of money and try to rebuild the marketing campaign to Re-Fame Punjab, as Punjab has already been rightly de-famed by media houses. Waaaaooooooooo (Wow!) That is what you are going to say, when you watch this movie. A household friendly childhood name from 90s "Mowgli" played by the talented 12 years old Neel Sethi in a fabulous performance. If you are an indian who loves to watch bollywood, you must see this movie in Hindi to feel the charisma and power of dubbing by one of the most talented actors, Om Puri as Bagheera, Nana Patekar as Sher Khan, priyanka chopra as Kaa and above all Irrfan khan will bring life to Baloo`s Punjabi character on screen alongwith many others to complement. The movie has it all, the touchy and emotional moments from Wolf mother with human cub, to chulbuli friendship between Mowgli and Baloo with caring Bagheera on one side, till Roaring Sher Khan coming out to scare everyone. It has everything one entertainer must possess. A good portrayal of storytelling by the director Jon Favreau. Zirakpur: 11Jan,2016:- VIP Road, which is considered the heart of zirakpur has no traffic management system which leads to daily accidents. A brutal accident which has thrown a man in a serious condition happened on VIP Road on 11th Jan 2016 at around 10 PM outside Maya Garden and whispering willows. 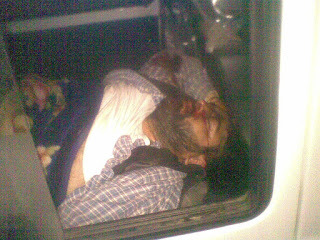 THe accident had left Mr.Gursimran Singh un-concious in a pool of blood. A few residents of nearby societies who gathered made a few calls for Ambulance and PCR. But to no one`s surprise, PCR didnt turn up as usual. No Ambulance came for help. After all the doors found closed and with a Man bleeding badly on the road side, someone suggested to call an Ambulance which is being managed VIP Road Welfare Federation charitably. And thanks to them that the man was carried to the nearby hospital. Guru Nanak Saab has mentioned about the atrocities of Babar on hindustan. I have a request to make to everyone, this diwali dont bargain with fruitwala`s, sabjiwala`s, diya wala`s and other vendors who work on small profits, RELATIVELY. I am not writing this, because i have a feeling of being well off in any sense. Actually, i DO compensate myself for this extra money which i give into this smal market. 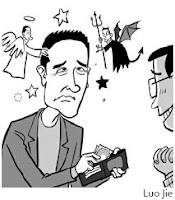 This money or compensation for me, comes from the money which i DIDNT donate to any religious institution. WE NEVER BARGAIN at McDONALDS or PIZZA HUTS, than why here. PLS DONT BARGAIN WITH THEM THIS DIWALI. Let Lakshmi follow, not just your wallet but others as well.